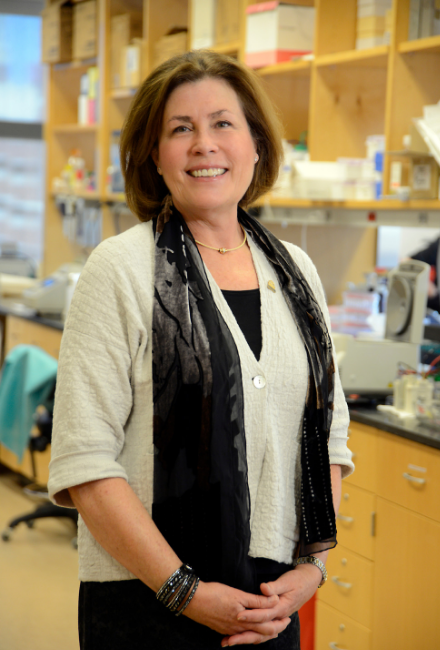 Claire M. Fraser, director and founder of the University of Maryland School of Medicine’s Institute for Genome Sciences and a pioneer in the field of microbial genomics, has been chosen as president-elect of the American Association for the Advancement of Science. Fraser is among the 114 officers selected during the 2018 election, AAAS announced today. She will begin her term on Feb. 18 after the AAAS Annual Meeting in Washington, D.C., serving for one year as president-elect, one year as president and one year as chair of the AAAS Board of Directors. “One of the most important roles of the AAAS President is to serve as an ardent spokesperson for science and to promote application of the scientific method to the solution of our most pressing problems,” said Fraser in her candidacy statement, citing such challenges as climate change, antimicrobial resistance and food, water and energy security. “Our ability to respond to these challenges has been hampered to a considerable extent by a lack of adequate funding, a tendency to fund ‘safer’ research projects, and a relative lack of public trust in science,” Fraser said, noting the increasing political attacks on science in the U.S. and abroad. “During these challenging times, it is essential that we find a strong collective voice to speak on the value of science,” she said. Before launching the Institute for Genome Sciences at the University of Maryland School of Medicine, Fraser was with the Institute for Genomic Research, where she served as vice president for research before serving for nine years as president and director of the independent research group. While at TIGR, Fraser was part of a team that for the first time sequenced the full genetic code of any free-living organism, Haemophilus influenzae, which causes respiratory tract infections and meningitis in young children. The discovery launched the field of microbial genomics, which has enabled researchers to better understand the evolution of micro-organisms, information that can inform vaccine development. Fraser, whose current research focuses on the structure and function of the human gut microbiome, earned a bachelor’s degree in biology at Rensselaer Polytechnic Institute and a Ph.D. in pharmacology from the State University of New York at Buffalo. Fraser was honored by AAAS as an elected Fellow in 2004 for her pioneering work in sequencing and analyzing microbial genomes. Her prior involvement with AAAS also includes serving on the AAAS Committee on Nominations from 2006 to 2008, on the AAAS Board of Directors from 2013 to 2017 and on the AAAS Section on Biological Sciences’ Electorate Nominating Committee from 2014 to 2017. When Fraser assumes her role as president-elect in February, current AAAS president-elect Steven Chu will become president for one year. Current president Margaret Hamburg will begin a one-year term as chair of the AAAS Board of Directors. Fraser will become AAAS president in February 2020 and chair of the Board of Directors in February 2021. AAAS members voted in the annual election for president-elect, members of the Board of Directors, members of the Committee on Nominations, and officers for AAAS’ 24 sections between Oct. 26 and Nov. 26, 2018.